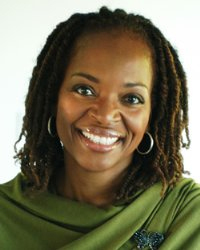 Former Evanston resident Tina Lifford, who plays Renee Trussell on NBC’s “Parenthood,” recently returned to the city to showcase “The Circle,” a play she wrote. When Lifford was 12, she moved from Evanston to California in order to begin her acting career. She would go on to star in films alongside actors such as Clint Eastwood. Lifford talked to The Daily about how her upbringing in Evanston influenced her acting career, as well as her take on spiritual wellness. The Daily Northwestern: As a Hollywood actress starring in shows with famous actors such as Clint Eastwood and most recently in NBC’s television series “Parenthood,” how would you describe your progression in life since you were raised in Evanston? Tina Lifford: Evanston gave me a foundation that I refer to as community. My parents were attentive, loving parents. In our neighborhood and community, there really was sense of community. All the children were being reared by all of our adults. It showed many of the people who were adults in my life were also like extended family or it felt that way. They were really close friends of my mom and dad. It gave us a sense of security and belonging, and it was okay for us to dream and we were encouraged to do so. The Daily: The play you authored, “The Circle,” which you are bringing to Evanston on Feb. 26 at the Music Institute of Chicago, involves seven diverse women who share their life’s troubles ranging from dealing with Alzheimer’s disease to coming to grips with sexual orientation. At one point, one of the actors shouts, “I am enough!” What point are you trying to get across? Lifford: That in our society, we all have been left to manage our hurts, dramas, traumas, upsets and disappointments. And most often because our society does not talk about these things, most people don’t know how to navigate what I call the choppy waters of life and a lot of times when you can’t see yourself in another person you feel alone or isolated. The idea is the discovery that the things we were told that hurt our feelings — those experiences that hurt our feelings — those are all lies, those are all things, burdens in our bag that we can start to let go. The Daily: What were your most memorable childhood experiences being raised in the first black family on Greenleaf Street and Fowler Avenue in Evanston? Lifford: We oftentimes slept with doors unlocked. We would forget to lock doors, and we would forget to close the door particularly on a hot night. That spoke to a community that felt safe within itself. And the (neighbors) next door, they were a white family. I never experienced them as being “other,” they were just white. They were kind. They liked us, we liked them. I never got whiff that there were anything different between us. And then I remember how free we’d be, the way in which we kids would entertain ourselves endlessly by playing softball in fields or by playing Seven Up in our basement, constantly entertaining ourselves through play. The Daily: In your book “The Little Book of BIG LIES and TRUTHS That Set You Free,” you describe your own experiences concerning inner wellness, including your relationships and sudden endings to them. You describe many of these past pains as “vampires.” Can you explain that concept? The Daily: And lastly, how have you felt starring as the mean grandmother on NBC’s television series, “Parenthood”? Lifford: Well, I love it because it’s so different from who I really am. Here I am doing all of this heart work helping people to connect with themselves. Playing a hard-hearted … woman, grandmother and mother-in-law, I love that because it just means I’m acting, and I love acting.